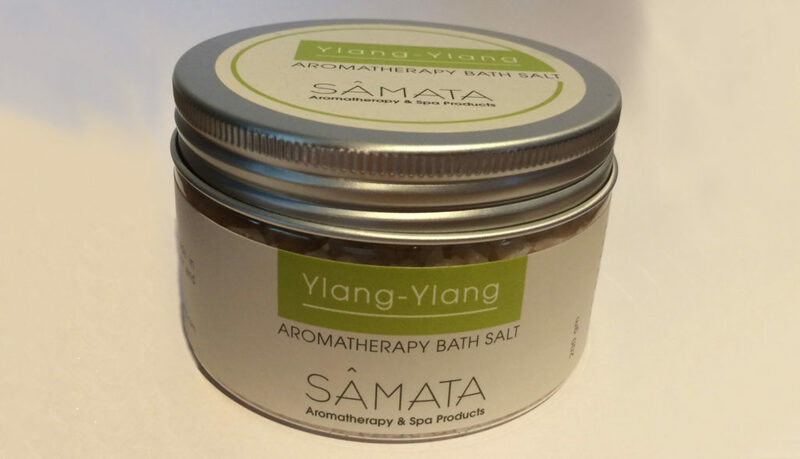 SÂMATA Aromatherapy Bath Salts are made in Cambodia with natural Kampot sea salt and 100% pure essential oil. 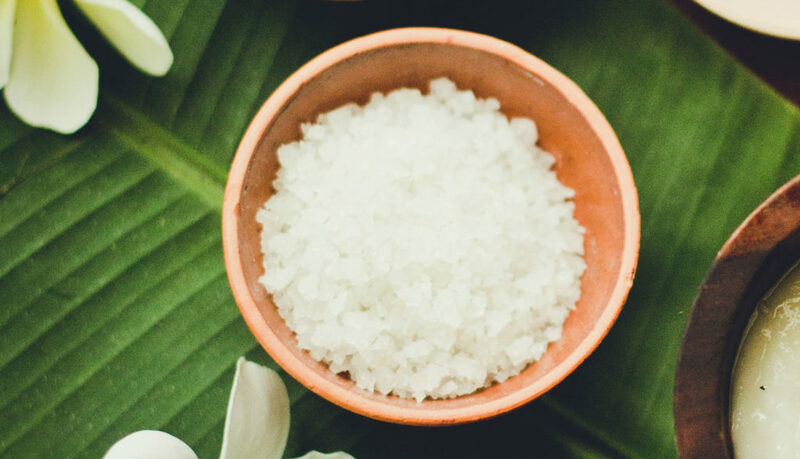 Salt softens the skin, re-mineralizes the body, relieves fatigue and eliminates toxins. Essential oil boosts the effect of the salt. Indication: salt softens the skin, remineralizes the body, relieves fatigue and eliminates toxins. 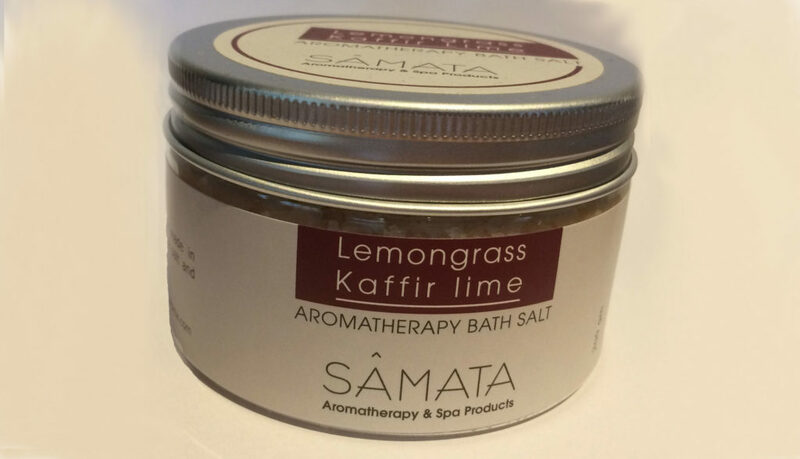 Lemongrass helps breathing; kaffir lime reduces stress. Energizing. Indication: salt softens the skin, remineralizes the body, relieves fatigue and eliminates toxins. Ylang Ylang relaxes tight muscles, lessens pain and reduces stress.